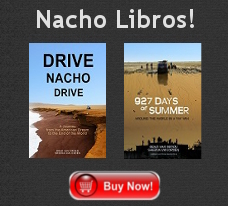 Drive Nacho Drive » Cha Cha Chamula! 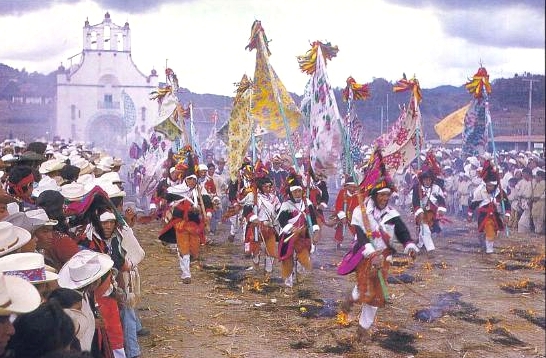 I loved reading your write-up of the festival/ceremony you experienced in Chamula. I have similar recollections of an event I witnessed in Santiago Atitlan, Guatemala, years ago. I was there in the midst of it… yet not part of it. While I could see, hear and smell what was going on, I couldn’t understand what was going on. Yet in the midst of my confusion, somehow I knew that I was seeing something powerful, spiritual and very, very ancient. 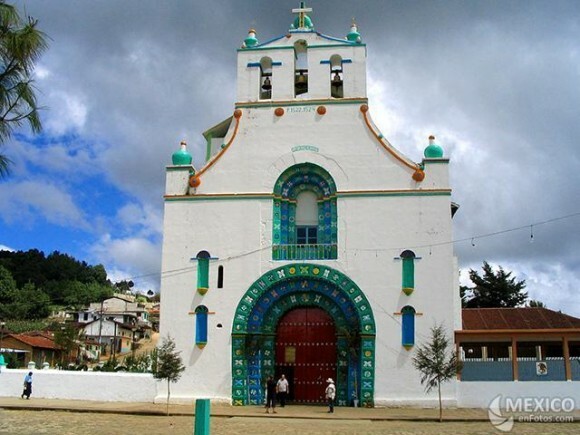 It culminated as I stood in a packed, nearly 500-year-old church, surrounded by Tzutujil Maya who accepted my foreign presence while they prayed, made sacrifices and wept all around me. 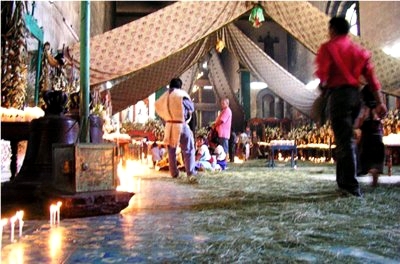 I hope to never forget the smell of burning copal incense from that night. The next morning at dawn, I entered the church all alone and saw the stubs of burnt candles, the trampled pine needles and the lingering smell of copal. Bravo! It appears from here, that things are shaping up quite nicely. Best post yet. Amazing stuff. Thinking about you guys! We know exactly what you mean about getting out of the ol’ comfort zone – but I don’t think anything we’ve done on our trip so far has approached quite this level of scary. I thought it might end with the first use of the flesh stapler. Whew! 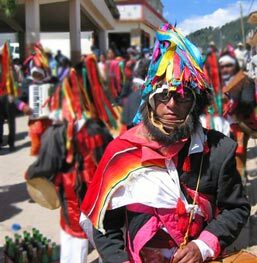 We made the trip to Chamula several years ago, and were quite amazed. Not quite the craziness of the bulls, but exciting nonetheless. A Polish tourist travelling with us was accosted by locals for taking pictures in the nearby town of Zinacantan. They let her off with a 100 peso fine, and told her to leave town…very forcefully, I might add. no horsing around with the local traditions here! Otherwise the locals were friendly enough, although not overly so. We picked up a few ‘sub-comandante Marcos’ nick-nacks, and some Copal ( the incense you were smelling) while we were there, to help support the local economy. Really a beautiful town, like all of Chiapas, We loved it! @Jay: Thanks, very kind of you. I hope you and the family are enjoying Indiana and that your public speaking schedule is still allowing you some R&R time! Wonderful, rich writing. I felt the experience with you. I smelled the burning pine and the throbbing explosions. You really captured that sense of cosmic displacement when you are thrust in to a completely unfamiliar other worldly experience. In my journeys, I’ve learned that the memory you plant in your senses is often far more powerful than the photo you took of the occasion. I can still smell the hot coppery scent of fresh blood from sacrificed goats as it flowed down the steps of the Kali temple in Calcutta. No photo can capture that. Thanks Willanne, glad you enjoyed it. I’m happy to report we’re still having these experiences several months later, and we’re continuing to discover new and exciting people and things!